When it comes to porches and decking, we stock a variety of choices to fit your budget and needs. Whether you are trying to match existing product for repair or replacement, or planning a brand new porch or deck, our extensive offering of products will help you achieve the outdoor space you dreamed of! Visit one of our showrooms to review your options and get suggestions from our experienced sales team. MoistureShield moisture-resistant composite decking is environmentally friendly (95% recycled material) and can be installed on the ground, in ground, or even in the water! MoistureShield also offers an industry-leading warranty against rot, decay, and termite damage. Available in a variety of colors, MoistureShield is stain, fade, scratch, and mold & mildew resistant. Trex decking offers composite or shell (Trex Transcends) technology. It is surprisingly low maintenance, with rich, deep palettes. There is a broad range of styles and finish options that are soft, splinterless and will never rot. Grooved decking boards install with “hidden fasteners” for a flawless installation. Trex Transcends’ shell technology is fade, stain, scratch and mold resistant with a distinctive, high-definition wood grain and Earth friendly – made from 95% recycled materials. Azek decking is a cellular PVC decking. Top of the line, stain and scratch resistant, durable & long lasting, and moisture resistant. Choose from the Arbor Collection offering warm, vibrant tones of exotic wood, variegated colors and timeless beauty; the Harvest collection which offers a pleasing palette of soft shades that are complimentary to many popular siding colors; or the Terra collection offering rich color and enhanced grain texture . 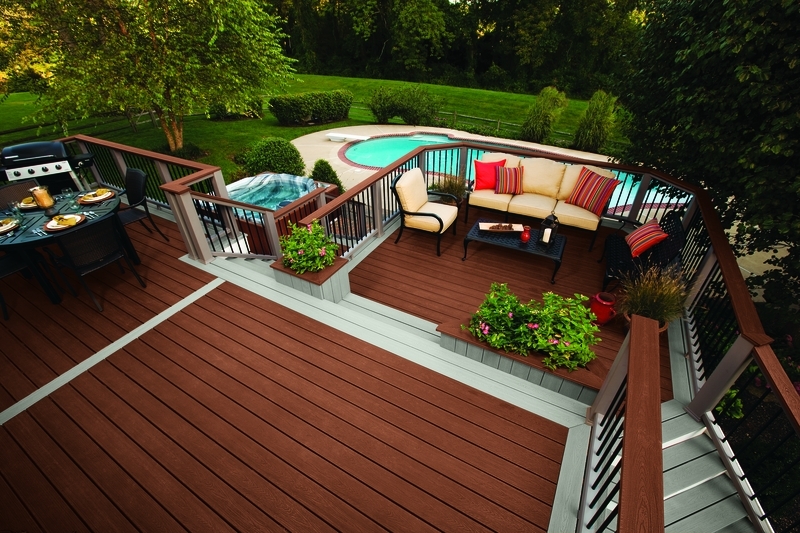 Modernview decking uses encapsulated technology that allows you to install Modernview in ground, on ground or in water. 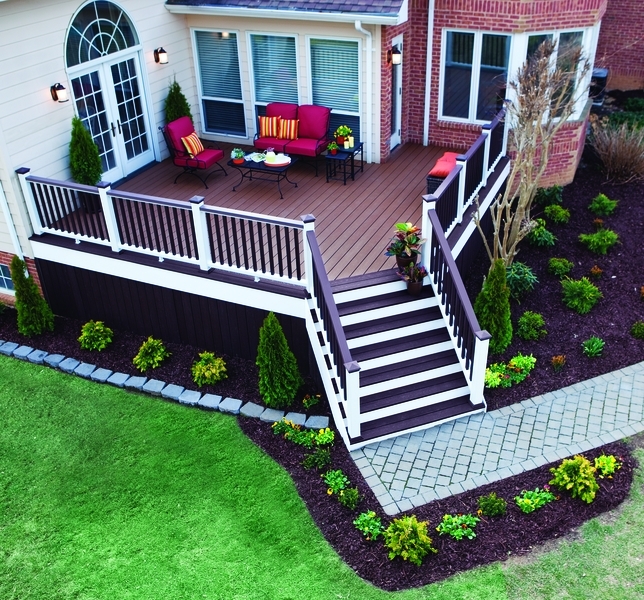 Modernview composite decking offers the best value. AERTechnology means less fade and is backed by a Limited lifetime warranty against rot, decay and insect damage. Installs with hidden fasteners. For decades treated lumber has been the choice for exterior projects where rot and decay resistance, along with structural, strength is needed, but not all treated lumbers are treated equal. The grade of the lumber that is treated will affect both the appearance and strength of the material. If a product will be exposed, such as deck boards, we offer a premium grade that provides the best visual product with minimal knots. In structural areas a #1 grade will provide a high level of strength while still being aesthetically pleasing. Posts that will typically be set in-ground are #2 grade and have a higher level of chemical treatment to allow ground contact. For a step-up option, dry treated lumber is stocked at our Brookside location. When lumber is treated, water is forced into the wood under pressure and, if left there, the material is much more prone to shrinking, warping, and can not be painted or stained until it dries out naturally. We carry lumber that is kiln dried after treatment (KDAT) to prevent these problems and give you a much more stable product that can be painted or stained immediately, is lighter in weight, and easier to install. Pavers are a great new idea for patios, walkways, driveways, flat roof application and resurfacing decks. Combining recycled materials with cutting edge technology (made from 95% recycled material), Azek pavers are scratch and stain resistant and offer 5 stone like color options to create a truly unique design. 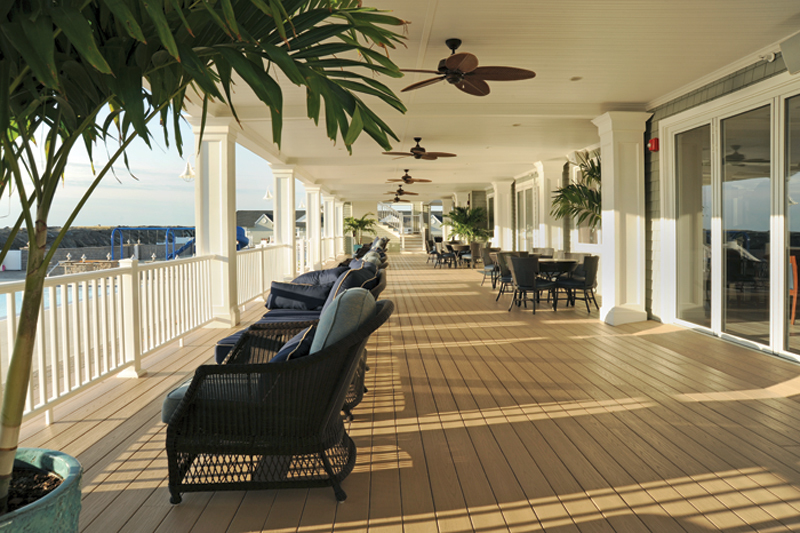 Ipe decking is an extremely dense tropical hardwood with excellent durability and long lasting performance. It is very resistant to attack by decay, fungi and termites. Ipe has the look and feel you can only get from real wood decking and is one of the hardest woods known to man. Ipe’s rich, warm appearance is so strong that it is increasingly becoming a more popular choice for commercial and residential applications and is environmentally friendly, low maintenance, has no knots and a hidden fastener system is available. Dryspace is a deck drainage solution to keeping a dry space under your deck while expanding your usable outdoor living area. It’s ideal for second story decks since it is an under deck system that attaches easily to the deck joists and collects and channels moisture away from space between deck planks. Dryspace is made from solid extruded vinyl, carries a 25 year warranty and is available in 12′ and 16′ lengths. Fairway railing offers no more painting and no more hassle because its made of 100% PVC for long term durability and structural integrity. It is available in white, tan and khaki with either square or stylish turned balusters and matching porch posts and other accessories. Its code approved, comes with a limited lifetime warranty and made in the good old USA. Veka’s name is known for its commitment to quality, safety and durability in the vinyl industry. The railing system comes in 3 stylish railing and spindle choices made of 100% PVC with color stablilizers. So its fade resistant, splinter proof, light weight, moisture resistant and easy to clean and offers 3 color choices—white, tan and khaki. Feeney Cable Rail is the perfect alternative to pickets and glass panels and will enhance any railing and view. The rail system made from beautiful yet weather-tough stainless steel, strong and durable, easy to install, low maintenance and virtually invisible. Feeney Cable Rails are easy on the environment too since they are made from 70% recycled material. They are also sold in pre-cut standardized lengths, easily trimmed to size and include “Quick Connect” end fittings for fast, trouble-free installation. Feeney Cable Rail may also be installed on new or existing wood or metal railing frames in exterior or interior residential and commercial settings. Deckorators railing, balusters and post caps come in a variety of styles and finishes. Everything is smartly engineered with top quality material. 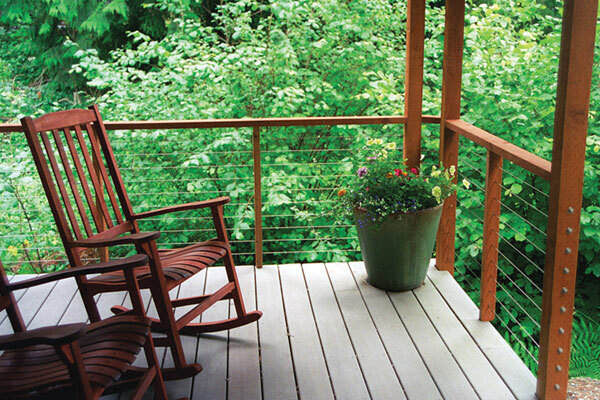 The aluminum balusters or scenic glass balusters offer unique options for your deck or porch rail. Aluminum railing is available with many baluster and color options. Its also easy to install and has a limited lifetime warranty and made of heavy wall extruded aluminum for extreme durability. 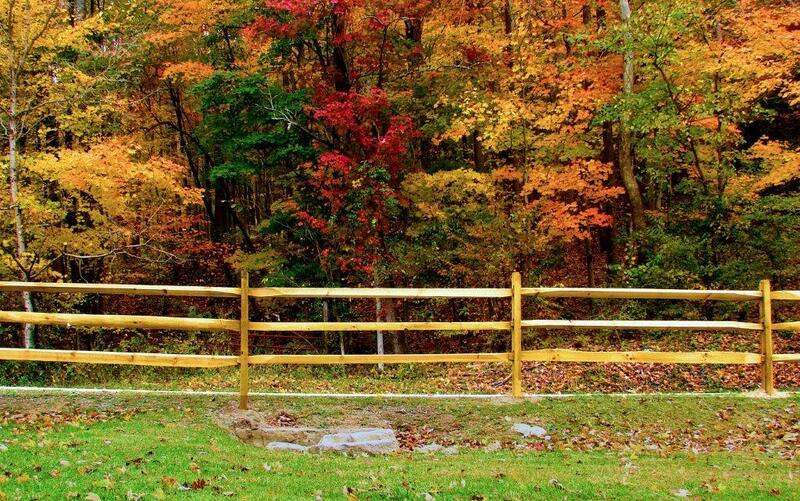 West Virginia treated split rail fencing is made of southern yellow pine which has proven to be an excellent post material. To increase longevity, posts are pressure treated to ground contact retention and rails are treated to above ground retention making the whole system extremely resistant to attack from insects, rot, and decay. Its available in 2 hole (for 2 rails) or 3 hole (for 3 rails). Fencing panels provide privacy and are made from vinyl or treated wood. The vinyl panels allow you to forget about painting or staining because they are totally maintenance free. The vinyl comes in white, almond and khaki and many different styles. They are available in 6′ installed height by 72″wide. Some treated wood panels are in stock. Picket fences in maintenance free vinyl or treated wood are neighbor friendly. The vinyl comes in white, tan or khaki and many decorative styles in 4′ and 5′ height. Individual pickets in treated wood are in stock. Lattice panels in treated wood 4×8 sheets are in stock in regular, privacy plus and heavy duty. Also in stock are white, khaki and brownstone PVC vinyl privacy panels. ScreenTight is a porch screening system designed for both the do-it-yourselfer and professional installer to bring the outside into the porch while keeping the bugs out. Made of outdoor grade vinyl, it is available in white, grey, beige and brown and will accept either fiberglass or aluminum screen. Dryspace is a deck drainage solution to keeping a “dry space” under your deck while expanding your usable outdoor living area. Ideal for second story decks, it attaches easily to the deck joists and collects and channels moisture away from space between deck planks. Dryspace is made from solid extruded vinyl, carries a 25 year warranty and is available in 12′ and 16′ lengths. Beaded ceiling is stocked in 4” widths in fir, primed & fingerjointed wood and pawlonia primed. Pawlonia primed beaded ceiling is light weight and very durable. Azek beaded ceiling is also available by special order and made of PVC material so it is impervious to insects and moisture. 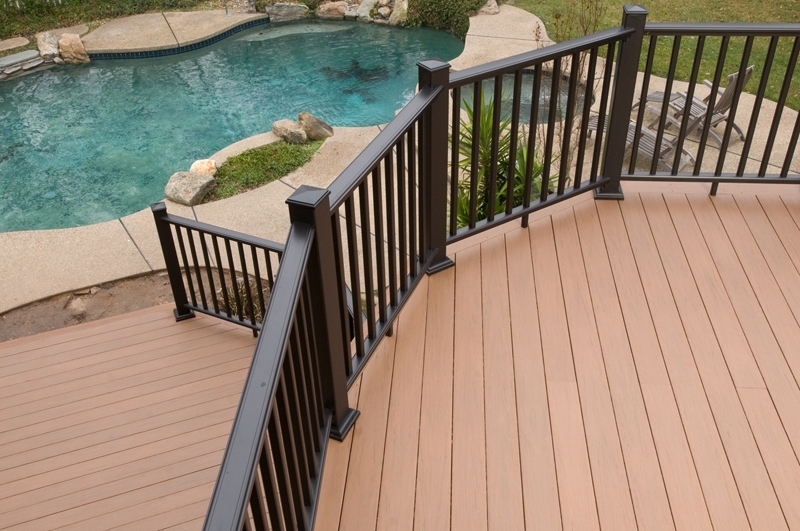 We have compiled a list of helpful links to our composite decking and exterior railing manufacturers including installation instructions, warranty information, and care and maintenance.